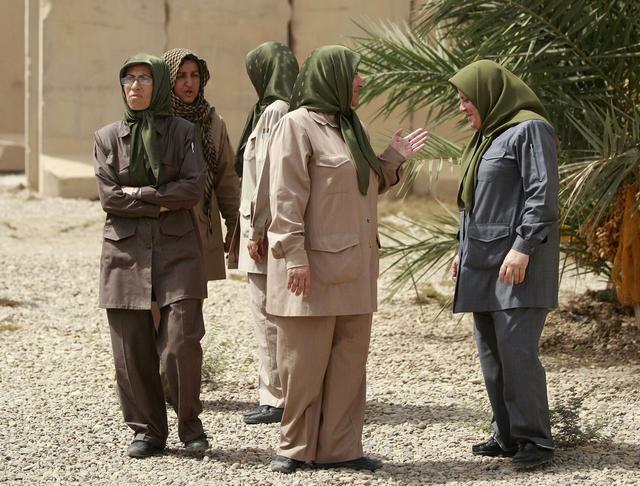 Our (New) Terrorists the MEK: Have We Seen This Movie Before? During the ‘jihad’ against the Soviets, the Judeo-Christian West teamed up with violent Islamic radicals of the worst sort, against the Soviets, because they shared a common hatred for the godless communists. The same people American leaders once called ‘freedom fighters’ throughout the 80′s are now [in the current war] violent extremist jihadist terrorists who commit immoral acts and heinous human rights violations that all Americans should find deplorable. Of course, before 9/11 when these ‘terrorists’ were fighting against the Soviets, they were ‘our terrorists’ and such human rights violations and war crimes hardly ever made the press. Today, people aren’t really supposed to remember nor point out this interesting historical irony, especially within the media. These days, we are watching the unbridled endeavors of the members of the Rajavi terrorist-religious cult and their lobbies in USA and Europe to force you to delist their organization from the US state department terrorist list. the pmoi or Rajavi’s terrorist-religious cult always intends to reach to its goals by using force , pressure and imposition . we congratulate you because of your resistance and persistence for the continuation of the US state department research and investigation about this notorious organization. we as the former members of Rajavi’s national liberation army and the veterans of pmoi with more than 2 decades record of service in this organization besides our appreciation for your resistance and US state department , we are ready to fully cooperate with you and US state department as reliable sources and witnesses to show you the reality of this cult and its real essence whenever and wherever is suitable . the reason that we want to cooperate with you is because we believe the silence of the people like us who have witnessed the terrorist essence of this cult is a treason to the future generations and Iranian people as well as other countries specially USA. Mrs. Clinton , everyday we follow the news about this cult and unfortunately we usually see that the members of this cult unilaterally in your country by the support of their American lobbies(former politicians and prominent figures) participate in variety of sessions , meetings in Washington and unilaterally they define and admire themselves without any objections because the scene is full of their supporters and lobbies so the reality of their essence is not revealed utterly because there is no dissident and witness in that meeting to stand up and show his or her complaint against the lies which the representatives of this cult says about the content of this cult . Mrs. Clinton, as you have already heard that the pmoi threw a big party and banquet in Bagherzadeh garrison in Baghdad exactly in the same day that the Al Qaeda terrorists pounded the American airplanes to the twin towers and killed more than 3000 innocent people on 9/11. we were in that banquet and we saw by our own eyes that the leadership of pmoi, Massoud and Maryam Rajavi and the pmoi leadership council were forcing the members to show their appreciation of such terrorist act against innocent people . 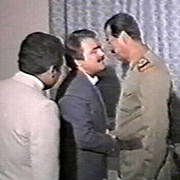 on that day , pmoi leadership threw a party in that garrison and they showed us the horrible scenes of 9/11 over and over again on the wide screens and they were forcing the members to clap their hands and admire such horrible human catastrophe and by the order of the pmoi leaders they distributed pastry and cookie among the members for the death of 3000 people. We are really sorry for the pmoi American lobbies who are supporting a terrorist organization which celebrated for the death of 3000 American citizens. 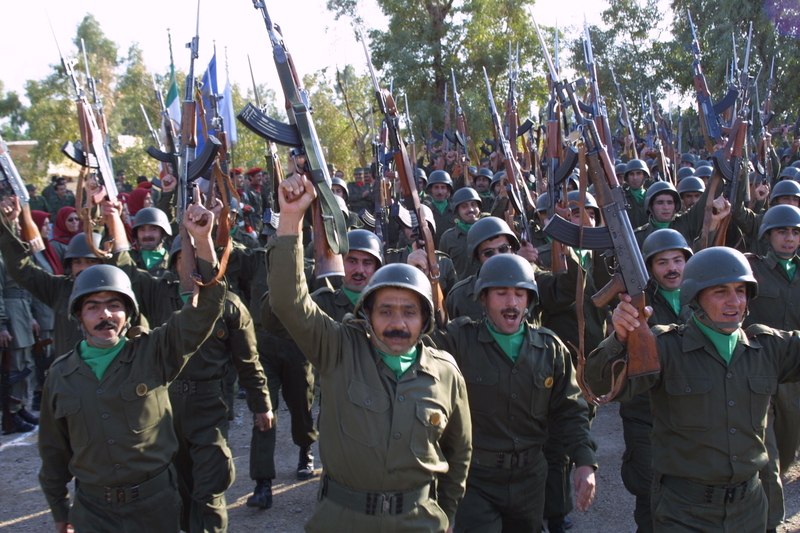 1-The people’s Mujahedin organization is a terrorist religious cult and a dangerous one. 2-The Rajavi’s cult has not renounced the violence and terrorism substantially and basically and they will begin the violence and terrorism in the appropriate time again. 3-The Rajavi’s cult is an undemocratic cult and they do not believe substantially in the freedom of speech and the freedom of thoughts. 4-The Rajavi’s cult does not have any popularity whatsoever among the Iranian people for this reason they are isolated and segregated from the rest of the Iranian population. Mrs. Clinton , we believe that the pmoi is a terrorist organization and they should remain in your terrorist list . if you need our testimony about this terrorist religious cult , we would be more than happy to submit more facts about this organization whenever and wherever you need. Do not forget , we are the eyewitnesses who are capable of dissecting the real content and essence of this horrible organization. we believe the honesty in telling the truths is the most precious element in determination of the pmoi fate. Democracy is a word frequently used by politicians around the world. People are constantly told that they'd better live in a democracy. Most states claim that their political system is “democratic”. Most opposition groups claim that they are struggling for democracy. A democracy is a government by people; it is rule of the majority. Tolerance is one of the features of a democracy. Tolerance is the capacity for, or the practice of, recognizing and respecting the beliefs or practices of others. But, is anyone who chants slogans of democracy,a democrat? The June 23 gathering of the Mujahedin Khalq Organization was allegedly called a “pro-democracy” event. The organizer of the rally said it was held “for democratic change in Iran”! 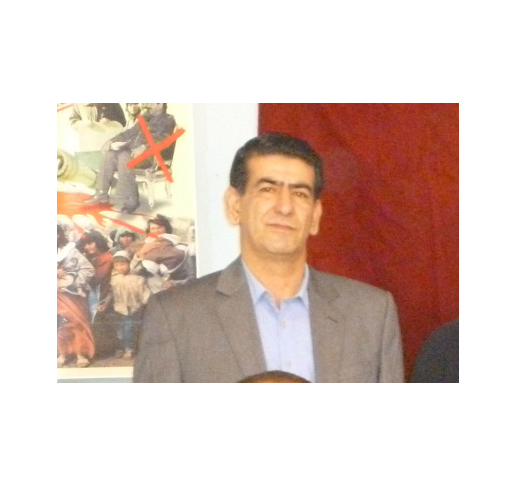 As the organizers of the event, national Council of Resistance of Iran is the propaganda arm of the MKO. Self assigned president of the NCRI, Maryam Rajavi is now running the group – which is widely known as a cult- in the absence of his disappeared husband Massoud Rajavi. Massoud went in to hiding in 2003 after the US invasion to Iraq and the fall of Iraqi dictator and also following the arrest of Maryam by French Police in June 2003. As Elizabeth Rubin of the NYTimes asserts the MKO "is something more like a husband-and wife-led cult ". This is the democracy the MKO leaders believe in. Neither respect, nor tolerance is included in their “type of democracy”. Those Western politicians who were invited and paid by “the Organizing Committee for Convention for Democracy in Iran”(! ), should watch their behavior. They badly risk their reputation by advocating for an officially terrorist designated group- under the name of democracy! It is now three decades when the mass demonstrations of Mojahedin Khalq Organization MKO/MEK shook Tehran and many other Iranian provincial towns on 20 June 1981. The outcome was Mojahedin’s declaring a ruthless armed warfare against the newly born regime of Islamic Republic the day after. The day marks a turning point in group’s terrorist pedigree although many believe that it drafted the blueprint of waging an all-out war against the regime soon after the Islamic revolution and the initiation of Iran- Iraq war; it was only looking for a dear opportunity. The frenzy firestorm on June 20 set MKO on the no return path of initiating an armed move that expanded a wave of terror by launching armed operations, carrying out daily attacks against civilians, assassinating officials and blasting bombs. The horrible nightmare of MKO’s blind operations haunted Iranian people day and night’s life and marks a post-revolution black spot in Iranian contemporary history. However, MKO hardly denounces actions deemed as terrorism in its own narrow vision and refers to them as “revolutionary resistance”. It is for more than a decade that, for certain political causes and a change in tactics, MKO’s revolutionary resistance has undergone a dramatic shift in action and its propaganda machine and media mainly focuses on a pro-democratic coloring and reflecting democratic tendencies. In fact, any show of democracy orchestrated by MKO is tantamount to a demonstration of its innate potentiality of the revolutionary resistance. It is now for a few years that just on the anniversary of June 20, MKO celebrates and glorifies the event under a democratic disguise and slogans; this year it is at VillePinte, Paris on 23 June. 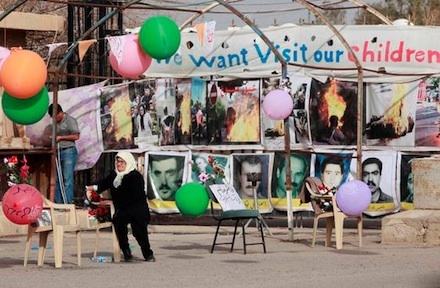 The advertising slogan is “Protection for Camp Ashraf and Camp Liberty”. MKO chants the slogan while it is the main cause of escalating tension in both camps. Those entrapped in the camps need no universally claimed protection, since the UN is decisive in refugee determination process and to convince other countries to accept members, but cooperation of the group to end their predicament. The process of relocation of members from Camp Ashraf to Camp Liberty has been ceased as MKO leaders are inventing unsound excuses. MKO’s anti-social nature never changes however it replaces the masks and as English maxim says, the wolf may lose his teeth but never his nature. June 20 is breath of life into MKO’s armed and revolutionary resistance. It has to be commemorated and glorified but with Western favored tint of democracy. 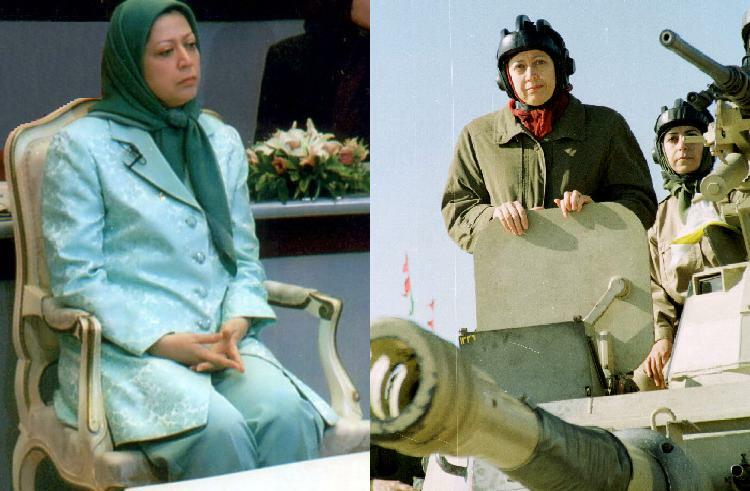 The host speaker of the event, Maryam Rajavi, has merely changed, if not wearing under, her military outfit for colorful, stylish ones. And the only ones she never cares for when she calls for their protections are the residents of the two camps living in limbo.